Each month I’ll be listing the top 5 outdoors Instagram accounts that have inspired me with stunning photography, interesting story-telling or just some good old-fashioned outdoor fun. This has been an interesting month on Instagram. While Australia has ducked under the blanket for Winter, the rest of the world is out and about getting some amazing shots. 1. Coming in at number 1 this month is @broncobushcraft. 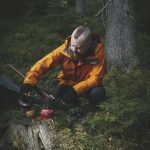 This Instagram account constantly captures my attention with interesting bushcraft posts and storytelling through images. But this month he dropped a bunch of outdoors scenery bombs from a recent trip that were just amazing. I immediately thought Game of Thrones meets Lord of the Rings. 2. I’ve been following @helenelohr for a long time now and her photos never disappoint. This month she was a little quiet on the airwaves until she posted this pic. A magical orb? Another world? You tell me. Whatever you call it, she’s captured something pretty special in that photo. Nice job friend. An epic shot from @helenelohr on Instagram this month. 3. I always enjoy scrolling through pics from @your_favourite_hiker and following the adventures. This single pic alone got it straight onto this month’s list. Just perfect. It’s little wonder he has that username. 4. 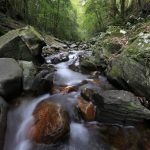 If you like stunning wilderness scenery, then you are going to love @trevorpyke. He posted a series of shots this month from his time hiking on the Pacific Crest Trail that I thought were fantastic. The sort of shots that want to make you start planning your next hike. Keep up the good work mate. We’re lovin it. 5. Whenever I see a photo of a beautiful river, I want to paddle it. It’s no surprise that this picture from @wilderness_wanderlust made me drool and want for nothing more than my canoe and paddle. It’s always fun seeing pics from her travels and this month there were plenty of stand-outs. 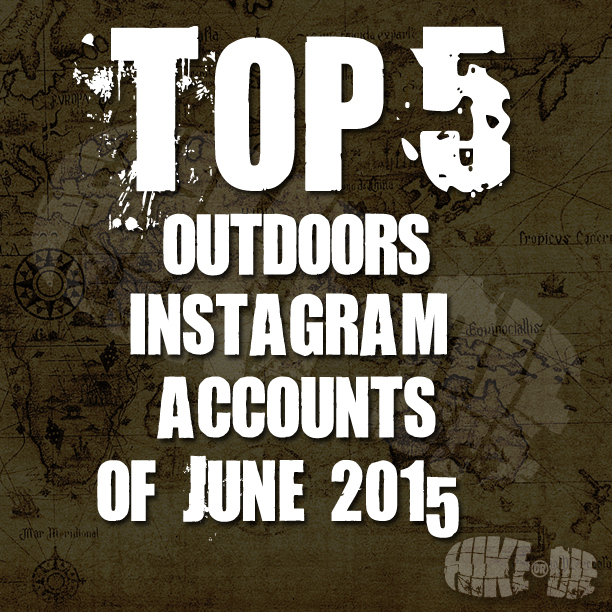 Well that wraps up my top 5 for the month of June 2015 on Instagram.